If you would like to know more about your destiny but cannot visit Kate then a telephone or Skype reading will be the answer. 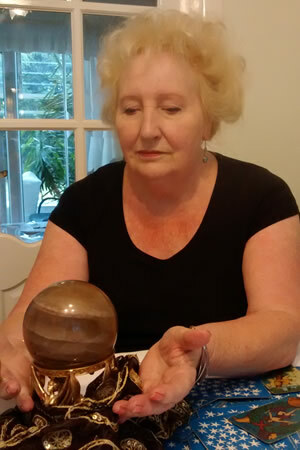 Kate can use Skype to give you a face to face reading using the Tarot Cards, crystal ball and palm readings to help predict your destiny. If you would like to contact her for a telephone or Skype reading then do not hesitate to call or email Kate.